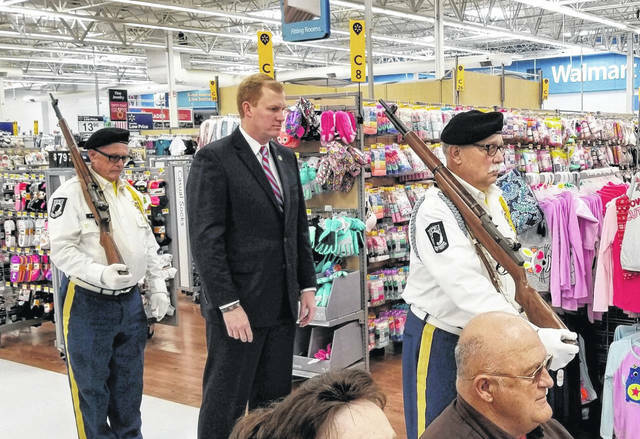 Pictured is Ohio Speaker of the House Ryan Smith who served as Saturday’s keynote speaker during a Tribute to Veterans at Walmart in Gallipolis. 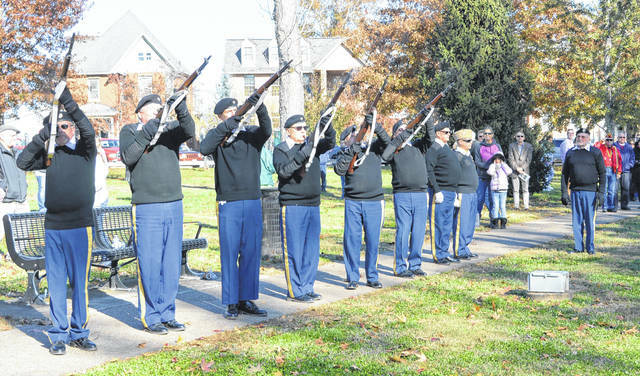 Also pictured, VFW 4464 Honor Guard presents a firing salute at the end of the Gallia Veterans Day ceremony. More photos from this weekend’s ceremonies honoring local veterans found inside and online at www.mydailytribune.com.